Looking back through my picture archives, I found these products which I have to say, are a pretty big part of my daily routine. Sometimes depending on the weather or products, my skin just suddenly becomes really dry, scaly, super sensitive (borderline eczema I have to add for TMI) which can really make you feel a bit rubbish and make you look to anything for resolve. After hunting for hydration masks and trying massively to avoid hydrocortisone , I remembered that La Roche Posay has a product for hands – which is my main inflamed area – that soothes and prevents irritated skin. I picked up the Lipikar Hand Cream and also discovered a new brand called Avène which specialises in skin with itches and irritations. I chose the Xeracalm Balm over the cream as it’s much more hydrating and is a great base too. It can be used on the face and on the body, is totally nourishing and a little really does go a long way. After using this for about two months, I can safely say it has helped calm down and heal 90% of my skin, but this is only because my hands react to water and them being washed a lot which is very inconvenient with going to the loo and doing the dishes – can’t help when nature calls! Whilst the last 10% may not be gone yet, it is much more manageable and as near to normal as it was before the flare ups so that makes me one happy skincare bunny. To also help my hands along, the Lipikar hand cream helps to remove the dry patches and soothe the skin during the day; my hands feel softer and more taken care of, plus with no added scents or fancy stuff it gets the job done. If you have dry, irritated or flared skin, I would really suggest this combo of products to use. The balm may seem pricey, but a little really does go a long way and you’ll find in a few days your patches and areas of inflammation will be healed and you won’t need to get the balm out for another few months! La Roche Posay is a great range for targeted skincare and would thoroughly suggest the hand cream as a repairing staple in your bag. Together, both brands focus on healing the skin from the top down; they calm and replenish the problem areas with great results after much dedication to this area of skincare, and are much much better than using medically stripping solutions daily which makes the skin worse. All in all, you cannot go wrong with these brands, and I would thoroughly recommend them to any one with a skin issue. Do you have any skin issues? Do you react to the weirdest things? 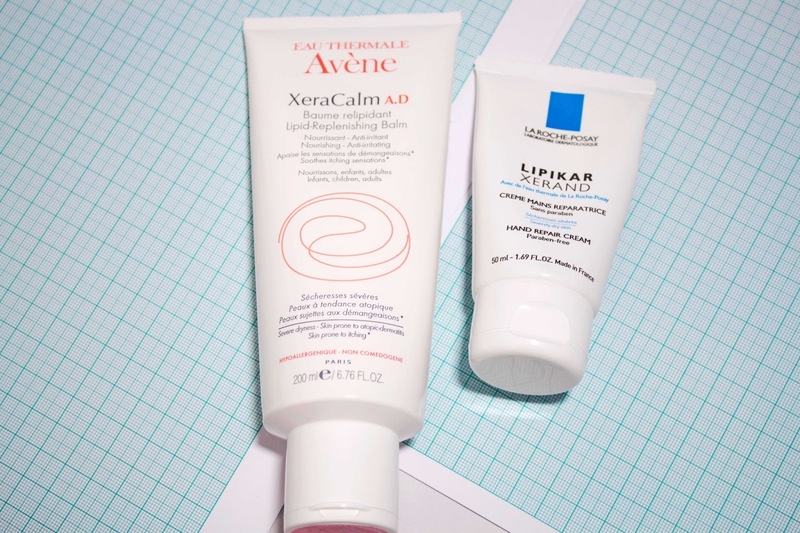 Have you tried Avène or La Roche Posay?